Is America too Dangerous for Chinese Visitors? The warning to Chinese tourists recently issued by the Chinese Embassy in Washington is only the latest evidence of Beijing’s concern about gun violence and robbery in America. This worry has marked our exchanges since the start of the Sino-American détente following President Nixon’s February 1972 visit to the Promised Land. In May-June 1972, as part of a three person team from the Federation of American Scientists (FAS) that was invited by the Chinese Academy of Sciences to tour the country for a month, I helped to negotiate a reciprocal visit to the U.S. by representatives of the Academy. Our hosts were happy to discuss a possible trip but understandably concerned about their personal safety in America. They had been reading accounts in the People’s Daily for years about the dangers of gun violence and robbery in our cities and wondered how a relatively small private organization like FAS could provide adequate protection to their group. I assured them that the Chinese news reports were generally slanted and exaggerated and that there was nothing for Chinese visitors to worry about. In December 1972 I had the pleasure to greet the Academy delegation at Boston airport, its first stop. After a good lunch at its Boston base—that proletarian hostel the Ritz Hotel, I suggested that we launch the visit with a stroll down Boston’s then most elegant street. I knew that the Academy’s interpreter, who had taken good care of us in China, was eager to visit a camera shop and thought we might stop at one during our stroll. The chief of the delegation agreed once I told him there would be no safety issue and that I would honor his request that we spend no time visiting stores to discover “the sugar-coated bullets of the bourgeoisie”. Amazingly, as our group entered the second block of our walk, we suddenly witnessed the only cops and robbers chase I have ever seen, with a uniformed policeman chasing someone while shouting “stop, thief” and brandishing a pistol. Our group was stunned and instinctively huddled together as we watched the policeman chase the suspect into the nearby Bonwit Teller department store. I don’t think my credibility ever recovered, although the rest of the trip went smoothly! There have recently been increasing signs of popular dissatisfaction with judicial handling of corruption cases in China. Of course, corruption cases are politically sensitive in every country and often involve influential defendants as well as accusers. Chinese courts are generally weak and unable to withstand political pressures to go along with what the Party-state demands. How can they overcome the instruction of the Party discipline and inspection teams and now the Party-run government supervisory commissions? It is much harder to vindicate rights in China’s corruption cases than in ordinary criminal cases, even if the case really involves only corruption rather than the continuing, if non-transparent, political struggle, local or national. Thus far specific legislative improvements do not have much effect in Chinese practice. Moreover, it’s like putting a band-aid on a gaping wound. 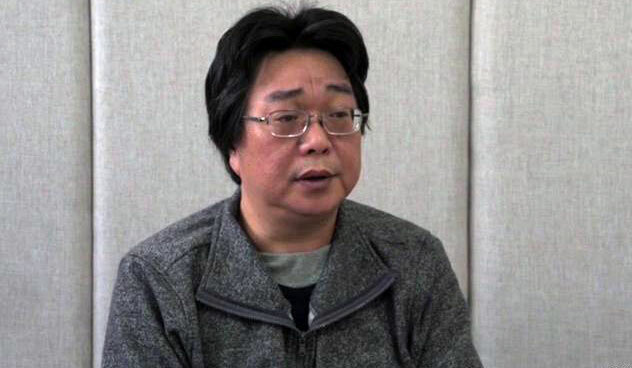 The new supervisory system does not offer significant protections against the arbitrary and lengthy incommunicado detention and torture that mark the criminal process even now, almost 70 years after the founding of the People’s Republic of China. The fear that the current corruption investigation system engenders in the business and bureaucratic elites is undoubtedly slowing economic development. Certainly, democratic countries that are the principal hiding places for absconding corrupt elements are very reluctant to return fugitives to a country that plainly will not allow them a fair and independent criminal process. China should face up to the need for genuine reforms in the administration of justice from the moment of detention through the appeal procedure. China should consider establishing special procedures for the handling of cases of returned suspects that could inspire the confidence of foreign countries and provide a model for reforming the regular criminal process. We are witnessing an important modification of the Deng Xiaoping era, personalistic one-man rule enhanced by efficient Party controls of all aspects of life. On Sunday, China’s National People’s Congress passed the comprehensive constitutional amendment proposed by the Communist Party under Xi Jinping’s leadership. The vote, which had the support of 2,957 delegates (with only two “no” votes and three abstentions), is what I anticipated. The leadership had to show a few dissenting voices among the almost 3,000 delegates in order to give the appearance of freedom on the part of the delegates. But it wanted, at the same time, to have a show of overwhelming support for the constitutional changes, unlike on some occasions where as many as 100 delegates have either voted against or abstained from voting with respect to certain reports on the legal system. The leadership had to work hard in recent weeks first to press the Communist Party Central Committee to go along with its proposal and then the National People’s Congress delegates. Without the advance approval of the leadership it would have taken a brave, indeed foolhardy, person to express dissatisfaction in the current circumstances where the Xi Jinping machine had gone all out, using fear, intimidation and incentives, to achieve its goal. We are witnessing an important modification of the Deng Xiaoping era, personalistic one-man rule enhanced by efficient Party controls of all aspects of life, increasing intolerance of dissent, more direct government controls of business and ever greater repression through the new supervisory commissions. Ironically, this Constitutional amendment changed the wording in the Preamble from ”健全社会主义法制” to “健全社会主义法治.” I have always understood the newly-inserted last character in the phrase to symbolize the aspiration for China to achieve government under law (法治) rather than merely rule by law (法制). I think its insertion in the current circumstances is an attempt by the Xi Jinping crowd to hijack the term in accordance with his clear preference to rule the country by law rather than continue the reality of lawlessness in some crucial respects, as in shuanggui (双规), the party punishment that lacks any legal basis. That is why we are getting the supervisory commissions fig-leaf of officiality and that is why, in order to feel comfortably free to plan on indefinite tenure as “president”, Xi insisted on amending the Constitution so everything can be done “according to law”. Everyone talks about Xi Jinping wanting to be another Mao Zedong. Some observers compare Xi’s ascent to the story of Putin. I have been saying for a long time that Xi’s goal is to out-do Stalin, without all the killing, and he may well succeed. He really is following the Stalin centralization of power, suppression of dissent, model that emphasized “the stability of law” even as Stalin used it as an instrument to promote the slaughter of millions. This is my interview of last week with the Diplomat on the continuing discussion of Xi Jinping's ending the President's term limits. The Chinese Communist Party (CCP) has contributed much to the success of the modern Chinese nation — a gradual liberalization strategy of the economy has produced widespread growth and raised the standard of living for millions of people. If China continues its current trajectory, it will be crowned the world’s largest economy not long from now. No one would disagree, however, that China has also become an increasingly oppressive society, with an ever more authoritarian government suppressing the freedoms of its 1.4 billion citizens in order to meet policy objectives. The trend does not seem likely to be reversed anytime soon. In this interview, Jerome Cohen, a Professor of Law at New York University and lifelong friend of China, shares his views on the National People’s Congress’ upcoming decision to remove the presidential term limit from the Chinese Constitution. Maurits Elen: Are peaceful power transitions in China, as seen since Deng Xiaoping, now less likely to occur without clear succession mechanisms in place? Jerome Cohen: As many observers agree, ending the term limit is a recipe for increasing political instability and weakening, and perhaps even ultimately dividing the Party. With no designated successor, serious illness or death of the leader could lead to chaos long before the end of the second term, not to mention beyond that. There are Western leaders who have served a prolonged time in office, sometimes more than a decade. How does this compare to Xi? Long leadership in a democratic country places the leader and his party in an entirely different position. As the British public demonstrated after World War II when it repudiated the great Churchill after he led the country to victory, even the greatest leader can be replaced in a democracy. And remember the British decided to bring Winston back after they got a dose of Clement Attlee. It was all very orderly, even despite the fact that the U.K. was in a bad domestic shape and was losing its international power at the time. Here is a good article looking into China’s plan to develop dispute mechanisms in relation to its Belt and Road Initiative (BRI), Dispute settlement on China's terms: Beijing's new Belt and Road courts. In short, the People’s Republic of China is now setting up various mechanisms to deal with BRI contract disputes between Chinese investors (including Chinese state-owned enterprises) and foreign companies. There are many unanswered questions about how this new option will develop. Will PRC negotiators try to insist that local host partners agree to PRC court or arbitration jurisdiction? Will host nations insist that disputes arising from BRI projects in their countries be dealt with in their own courts or arbitration tribunals? When Western foreign direct investment (FDI) began in earnest in China in 1979, there was a period of jousting as foreign companies sought to assure arbitration outside of China. No one dreamed of submitting to PRC court jurisdiction but some investors were agreeable to working out arbitration in China under mutually acceptable rules. In that brief period PRC negotiators were usually under orders to try until the last moment to persuade the foreigners to accept PRC arbitration but not to lose the deal because of their efforts. In a few years, however, the PRC insisted that, if a project was to take place in China, any relevant disputes had to be arbitrated in China under PRC procedures, institutions and governing law, and such was the appeal of investing in China that the PRC usually had the bargaining power to obtain FDI on its dispute resolution terms. Some potential investors, however, refused to sign up, at least until subsequent years demonstrated a basis for relying on PRC arbitration. Soon the China Council for the Promotion of International Trade (CCPIT)/ China International Economic and Trade Arbitration Commission’s (CIETAC) monopoly on arbitration of FDI disputes in China was broken by some 200 Chinese cities, each of which, under local Party control, sought to get a piece of the foreign-related arbitration action. Wise foreigners sought to avoid most of these, although the Beijing Arbitration Commission gradually inspired foreign confidence, in some cases more than CIETAC did. Then, of course, civil or uncivil war developed within CIETAC itself as Shanghai, Shenzhen and other CIETAC branches challenged the Beijing Headquarters. I think most BRI contracts, at least at the start, may favor Singapore arbitration, the Hong Kong International Arbitration Center or some other neutral, prestigious institution located in a place with a credible judicial system for enforcement of awards and interpretation of relevant law. Or the International Chamber of Commerce (ICC) or some other well-known organization may be authorized by the parties to conduct arbitration in a place of mutual convenience under its rules as modified by the parties to suit their needs in matters relating to procedure, language and substantive law. I doubt whether national courts, in China or elsewhere, will play much of a role, at least in BRI’s early years. Construction contracts are hideously complicated to draft, apply and arbitrate. For example, a decade or so ago I presided for 12 days over an ICC hearing of a dispute between a South Korean investor and a Saudi Arabian company involving a joint venture factory investment in Saudi Arabia that went awry. I loved asking questions every day but then ruined the rest of my summer by having to draft a long award that would have benefited from greater knowledge of engineering than I or my two fellow arbitrators possessed. Things sometimes became even more complicated if, as called for in some international construction contracts in China and Taiwan, the hearing had to be conducted in Chinese and the award written in Chinese!